Do you have leftover quinoa? Here’s a wholesome recipe you can use as an appetizer or a main dish. Cook quinoa in water according to directions. Typically need to cook covered for 15 minutes at medium/low setting. Let stand until all water is absorbed. In small frying pan, sauté onions, bell pepper, kale, mushrooms with grapeseed oil. Add fresh rosemary and continue to cook until onions are translucent. In food processor or with rolling-pin, crush crackers into crumbs. Combine sautéed mixture with quinoa. Add cranberries, egg, egg white, cracker crumbs, salt and pepper and mix well. 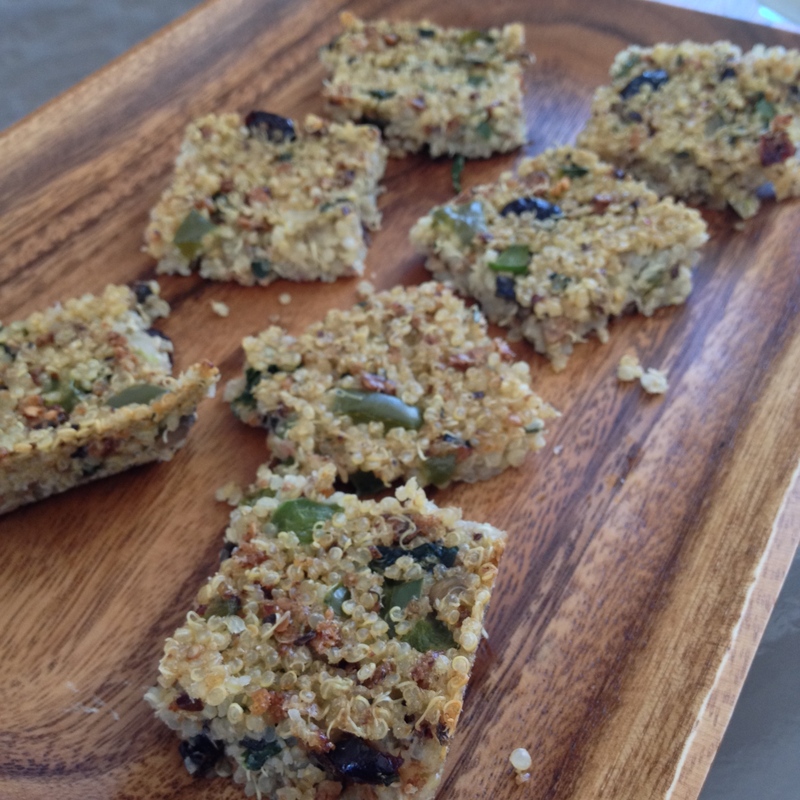 In a prepared 9 x 13 baking dish, pour quinoa mixture and pat down with spoon for even layer. Bake at 350º F for 25 minutes. Note: You can also serve as a main dish by baking in a smaller dish for a thicker square and cutting into larger squares.